It is true that Nnamdi Kanu's arrest was orchestrated and planned by the Nigerian Department of State under the command of tyrant Muhammadu Buhari. Following his stringent bail conditions that restrict him from the press, we all knew that APC with their dubious lying propaganda must cook up lies to tarnish his image, hence we are battle ready to destroy such lies from being spread across Biafraland and social media. The recent lies peddled against Nnamdi Kanu by APC which alleged that he has joined APC political party or it's equivalent is just a cheap propaganda which cannot even stand the test of time. The truth of the matter remains that APC and the leadership of the ghost president Muhammadu Buhari has been trying everything possible to lure Nnamdi Kanu to accept a bribe and denounce Biafra struggle which he ardently rejected. Many political leaders that visited Kanu with assorted gifts and heavy cash when he was in kuje prison were all turned down. Nnamdi Kanu being resolute chose to remain in prison than to accept bribe. That was why Nnamdi Kanu boldly told Prof. Charles Soludo and others who paid him a solidarity visit in Kuje stating: "MY RELEASE FROM THIS PLACE MUST BE THROUGH THE SAME LEGAL PROCESS THAT BROUGHT ME HERE (KUJE PRISON). Of course Nnamdi Kanu informed Soludo and the other delegates of Nzuko Umunna that, he is not the kind of person who shy away from opposition. He added: "I don't think at any point, I went far. I did not go far enough and I will say more when I come out. If you hate me, I'll hate you more; if you love me, I love you more, I am not a pacifist". 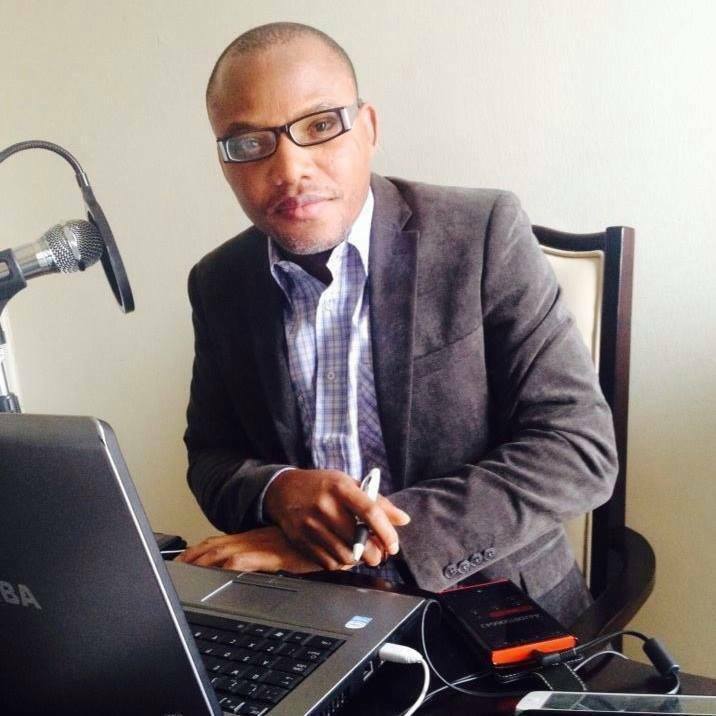 The Nigerian government knew that Kanu would destroy them with the truth if released unconditionally, that was what prompted Buhari to conspire with Justice Binta Nyako to give such stringent bail conditions. They barred Nnamdi Kanu from addressing the public ,guessing that it would be their greatest opportunity to rubbish Nnamdi Kanu before his followers with lies and deceit, but they have all failed. How can someone who openly said he does not shy away from opposition then turn to join opposition? This is another evidence that the Nigerian government is built on lies and deceit. It is time all the gullible and myopic minded politicians realize that Nnamdi Kanu is a freedom fighter and not a politician. The body language of Nnamdi Kanu since he was granted bail is enough reason to prove to the world that he is bonded with Biafra and can never compromise in the struggle for Biafra restoration. Photos speak a thousand words. Kanu immediately he stepped foot into Biafraland headed straight to Ngwo Hill Cenotaph in Enugu State and honoured Biafran fallen heroes. He prayed and paid his respect on that sacred Hill. One thing which is certain is that Nnamdi Kanu has vowed never to sabotage Biafra and he is keeping to his own words. Therefore we must stand and rally our support for him at all cost.